I would love to see that happen. 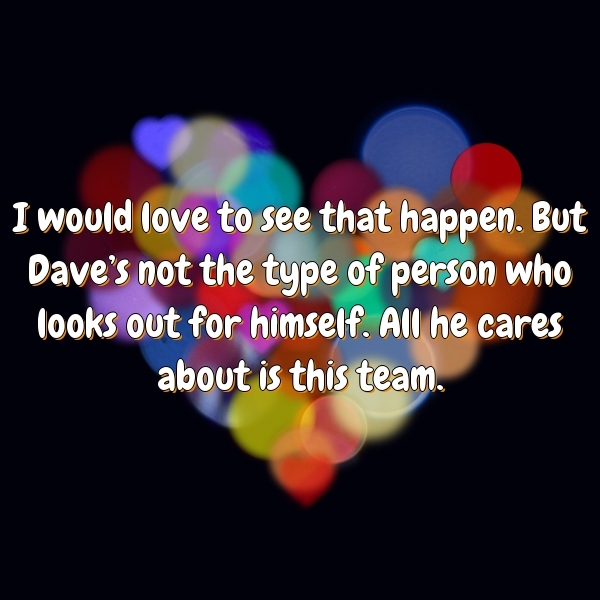 But Dave's not the type of person who looks out for himself. All he cares about is this team. I would love to see that happen. But Dave’s not the type of person who looks out for himself. All he cares about is this team. Doug not only has a Plan A; he has a Plan B and C. We’d all love to keep Carlos, but if it doesn’t pan out for any reason, Doug can go to Plan B or C. We’re committed to having a competitive team here.